The antiquities market comprises artefacts and works of art made by ancient civilisations including statues, coins, jewellery and arms and armour. Provenance is one of the most important considerations when trading in this sector as there is a long history of looting from archaeological sites. Christie’s is to sell a remarkable collection of engraved gems from the Classical world, formerly in the Sangiorgi collection, in New York. This 3ft 2in (97cm) high Roman marble statue of draped female form with a lyre, representing the Greek muse Euterpe, dates from the 2nd-3rd century AD. Bronze Age golden jewellery and a Roman goddess kept in a margarine tub are among the discoveries dug up across the UK. 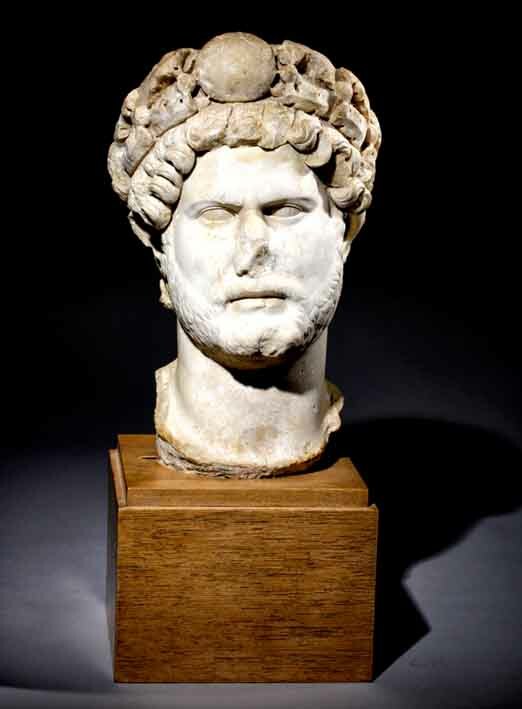 The London auction calendar in early December offered a busy schedule of antiquities, sculpture and works of art sales running side-by-side with the Old Master series. Overall the sales were relatively well-received with improved selling rates on previous years. Here we select five highlights from the series. A Roman bronze foot from a monumental statue topped an auction of Antiquities held by Bonhams in London when it sold for a hammer price of £160,000, far in excess of its £10,000-15,000 estimate. Workers charged with the demolition of the former Cressoni Theater in Como, Lombardy have unearthed a hoard of 5th century Roman gold coins. A replica of the largest Roman mosaic to be found in Britain could return home to Gloucestershire where it was made. A 3000-year-old Assyrian relief unearthed from the royal palace at Nimrud will be offered at Christie’s New York on October 31. It is expected to exceed $10m. One of the earliest pieces of ancient art in the US, an ancient Assyrian relief that arrived in Virginia before the American Civil War, is being offered at auction. A Persian limestone relief sculpture is to be returned to Iran, a New York court has ruled. The Antiquities Dealers’ Association (ADA) has warned that “long-term damage is being inflicted on both the trade and museums” by the growing number of legal cases surrounding antiquities with long North American provenances. A small bronze figure of a horse from ancient Greece is at the centre of a New York court case after Greece’s ministry of culture demanded its return and stopped its sale at auction. Two Attic black figure vases that formerly belonged to Lucien Bonaparte, the younger brother of Napoleon, were acquired by the Louvre from an auction held at Drouot in Paris by Pierre Bergé et Associés (PBA). A Cambridge auctioneer has negotiated the return of a pre-Columbian artefact to the Bolivian government. Survivals of ancient classical sculpture carved from ivory are incredibly rare, so the appearance on the market of this naturalistically carved ancient Greek horse’s head is a notable occasion. Antiquities looted from archaeological sites in Libya have been seized in Spain by police and two art dealers have been arrested.